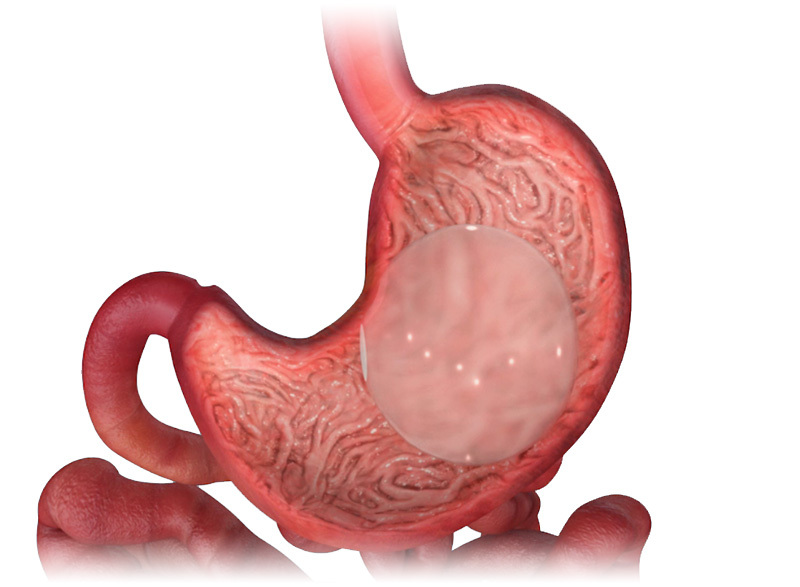 This is an endoscopically placed soft silicone balloon that is placed into the stomach via the mouth. This is then filled with sterile fluid. This takes up space and means that you feel full and so eat less. The procedure is only temporary, and the balloon is usually removed after six months. The procedure is useful if you don't meet the criteria for the other types of surgery – for example, because your BMI (body mass index) is too high, or surgery is too high risk or complex for example if you have had multiple previous open surgeries that did not involve your stomach. An intra-gastric balloon procedure is carried out without making an incision on your abdomen. Instead, the balloon is passed through your mouth and down into your stomach using an endoscope (a thin, flexible tube that has a light and a camera on one end).